I'm going to let out a little secret. 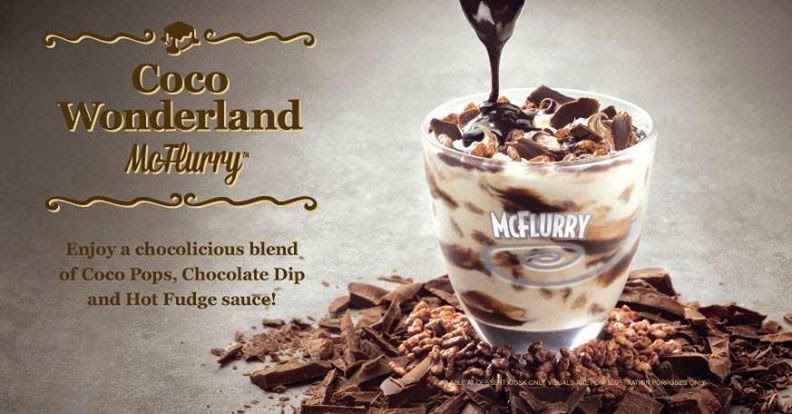 I've actually skipped a couple promo McFlurries which have passed through Singapore over the last year. It might have been because I've already had them before, like they when they re-released the Matcha or Durian McFlurries this year, but sometimes, my wife and I just never bother to try it since they are rarely that good, and far too expensive for the amount of ice cream you get. 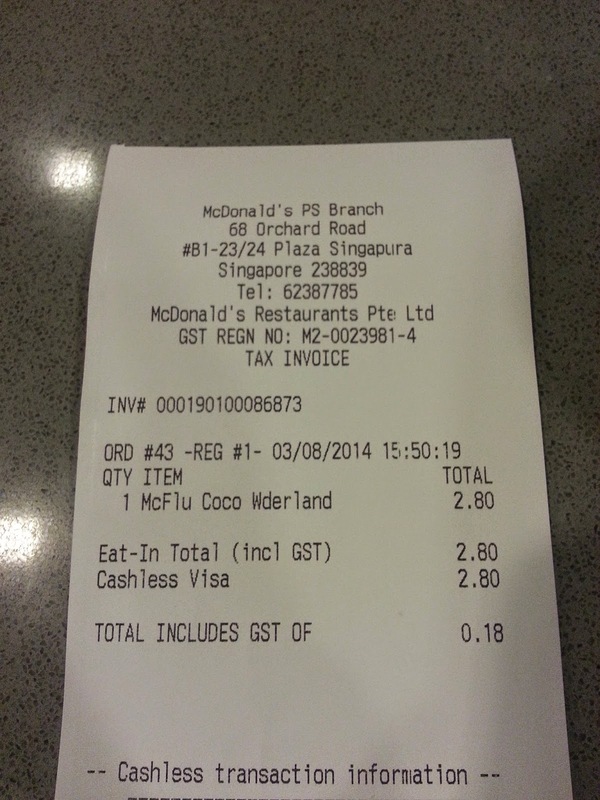 One day in August, we had just spent most of the afternoon walking around the hot Singapore heat, and thought we'd try out the new Coco Wonderland McFlurry that had been running since the beginning of July. 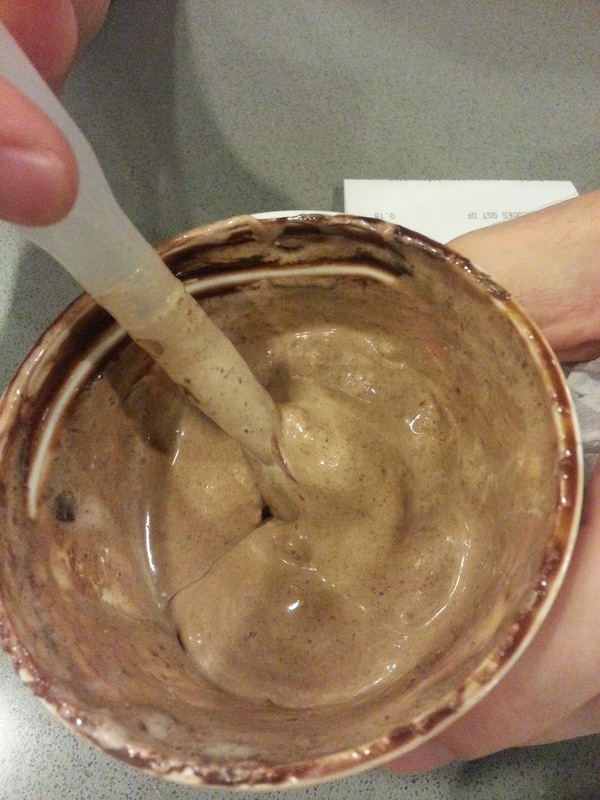 The McFlurry was topped with the sundae Chocolate fudge, that chocolate they dip the ice cream cones in, and topped off with Coco Puff cereal. Strangely enough, this isn't the first time I've had name-brand cereal on a McFlurry. 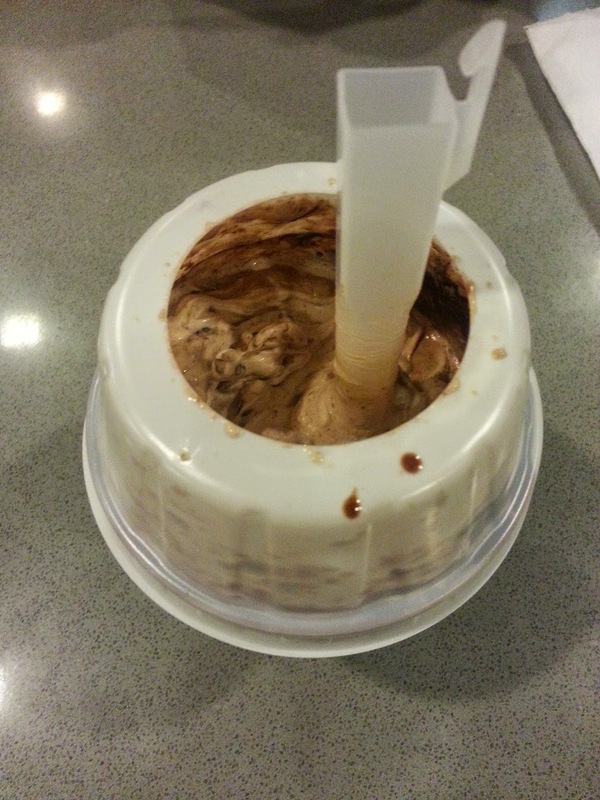 The thought of this triple-chocolate overload was decent enough, but after paying my $2.80 for the tiny cup, I was handed this melted disappointment of a McFlurry. 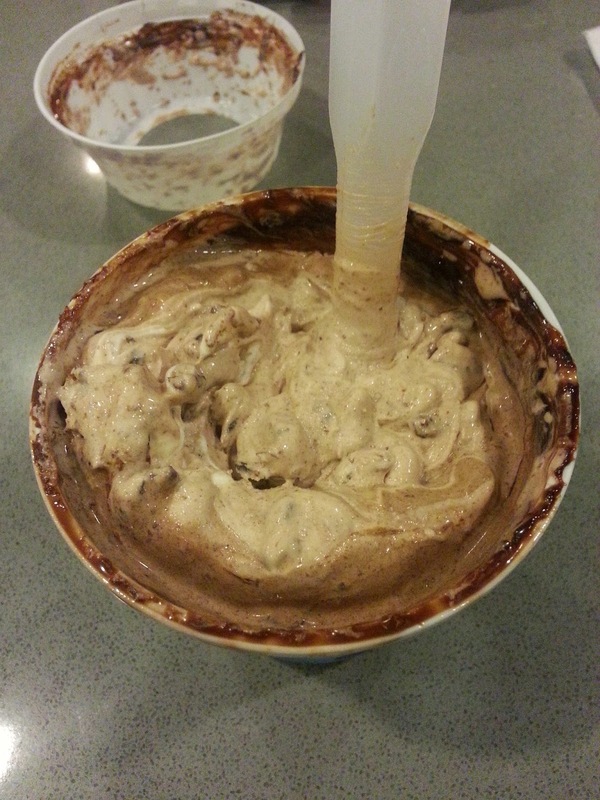 There wasn't really anything wrong with the taste, there was indeed Chocolate (of some sort) from top to bottom, but there was hardly a spoonful of Coco Puffs on the top. For the $1.50 premium they charge over a basic Chocolate Sundae, it should have been better than it was.